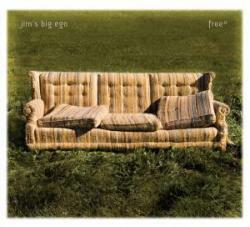 For those of you waiting to get your hands on a tangible copy of free* - the new Jim's Big Ego release - this weekend is your first opportunity to do so in person! Back-to-Back Release Parties This Weekend in Cambridge! Be sure to catch a pair of back-to-back release parties, taking place on October 10 and 11, 2008 at The Lizard Lounge and Club Passim, both in Cambridge, MA. Each show will be different and will mark the debut of the Jim's Big Ego Big Band, featuring such guest musicians as the inimitable Jennifer Kimball on vocals, Steve Sadler on lap steel, and Fenway Park organist Josh Kantor on keyboards. Plus, the first 50 people in through each venue will receive a free limited edition CD of Support the Truth - the 2006 JBE release of political songs, which until now has only been available digitally. Part 1 of the Free* CD release party!